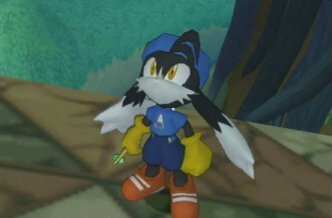 A Sony title, Klonoa 2 is a great platforming game that will keep both the kids and adults amused for hours on end. The action is constant and the little cut scenes do not get in the way of a fun time that everyone can enjoy. 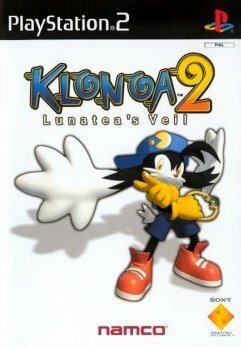 The story of Klonoa 2 follows Klonoa through his travels through the world of Lunatea where evil plans to destroy the world by bringing in the 5th Harmony Bell, the Ball of Sorrow, to disrupt the balance in the land already created by the 4 Harmony Bells located in 4 different kingdoms of Lunatea. This causes monsters to terrorise Lunatea and it's priestesses to fall ill. Its all up to Klonoa and friends to save the day! Developed by Namco, the title delivers time and again for enthusiasts of this genre. Controls are simple and easy to pick up, making this title accessible to first time gamers and veterans alike. The game is in it's essence a 2D platformer but rendered in a way to give a "3D" appearance in the same manner as PSX title Pandemonium. Characters within the game world are cute and instantly likeable and guarantee that you will be playing for hours on end to find out just how it finishes.... - Which we won't tell you! Buy this title and enjoy the innocent magic of Klonoa 2: Lunatea's Veil.